Like most parts of the UK, the city is covered by a network of fixed point, mobile, red light and speed concern cameras in a bid to keep its roads safe. The Northumbria Safer Roads Initiative, a partnership between Northumbria Police and the local authorities, publishes various statistics around their use. These are the cameras which were activated most in 2017 (the latest year for which figures are available). Most of the drivers received fixed penalty notice fines. Note: photos are to illustrate the routes where the cameras are, not precise their locations. 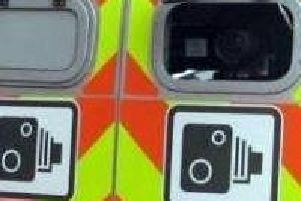 Thousands of drivers use this main route every day and 3,033 of them fell foul of the fixed spot speed camera the lowest for six years, but still the most anywhere in the city. 2,492 drivers were nabbed by mobile cameras on this stretch of the A690, which is a core mobile site. That's more than for the previous three years. 2,389 drivers activated mobile cameras positioned here the highest number in five years. 751 motorists activated the community speed concern camera here that's 1,000 fewer than when it was introduced in 2013.